This month has seen Westrans Services “sign off” its second apprentice this year. Chris M completed his apprenticeship with Westrans Services at the begging of the year and now Luke following along this month. We have had the privilege to watch these lads learn, grow and mature throughout this time. Westrans Services are a Department of Transport Authorised Inspection Station (AIS) and can provide your business fast, convenient and reliable Light and Heavy vehicle and trailer inspection. With two Authorised Inspection Examiners (AIE) carrying out inspections throughout the week, we endeavor to assist you to get back on the road as soon as possible. –	Inspect vehicles and trailers over AND under 4.5 tonnes. –	Carry out unregistered vehicle and/or trailer re-registration inspections. 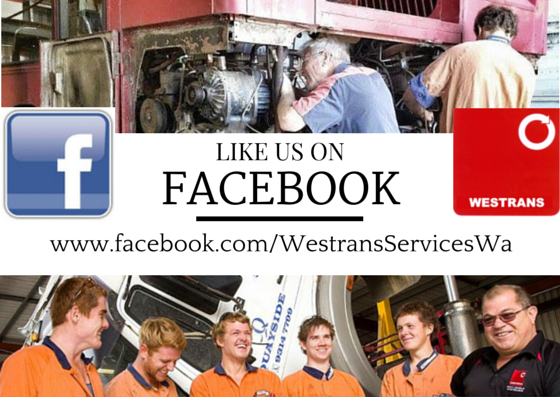 At Westrans Services we strive to ensure that our customers can get the widest range of services around! On top of being an authorised repairer and modifier, we also offer our customers an alternative in all things turntables and hitching equipment all the way to container handling solutions. Westrans Services are proudly AIR CTI dealers. The Perth Truck and Trailer Show was in town from Friday the 24th until Sunday the 26th of July at the Perth Convention and Exhibition Centre. This year the event hosted over 140 exhibitors and more than 8,500 people visited the show over the three days. A number of Westrans Services staff members attended the show over the three days supporting D’Angelo Products. and Good luck to one of our workshop mechanics, Mr Chris Stear aka Road Cone. Chris completed his apprenticeship with Westrans Services last year and we have had the privilege to watch him grow and mature (some what) throughout that time. On Tuesday the 12th of May Westrans Services workshop staff members were given a fantastic opportunity to go down to BPW in Forrestfield and met with trainer Murray Gayski for an evening of hands on learning. – Service and maintain brake callipers. – Correctly maintain BPW bearings and axles. – Strip and rebuild callipers by BPW and Knorr Bremse. Westrans Services hit the track for another successful Team Building event on Monday the 16th of March. Throughout the evening there were plenty of laughs and a great time had for all the Westrans staff members on and off the track. This year we had a change of faces on the winner’s podium seeing Chris take out first placed followed by Damien in second and Daniel in third. Over the past couple weeks Westrans Services workshop staff have had a rare opportunity to work on a “Golden Oldie” 1979 Double Decker Leyland Bus. The client requires Westrans to remove the old engine and replace it with another. Overall the job is quite complex and will require many different modifications and alterations to carry out successfully.